It’s Christmas and lots of toy cars will be received as gifts on the 25th. These are some of the toy cars I ‘enhanced’ as I began my interest in scale models many years ago. 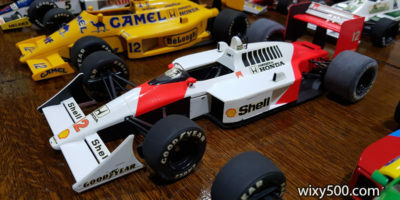 They are toy replicas of real race cars, not fabricated fictional liveries. Some even have the correct tobacco markings of the era. 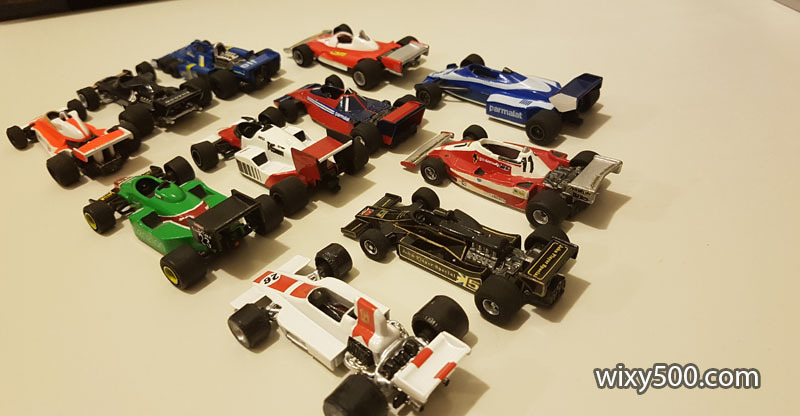 Front row (L to R): Tyrrell P34 (Tomica), Shadow DN5 (Marjorette), McLaren M26 (no name). 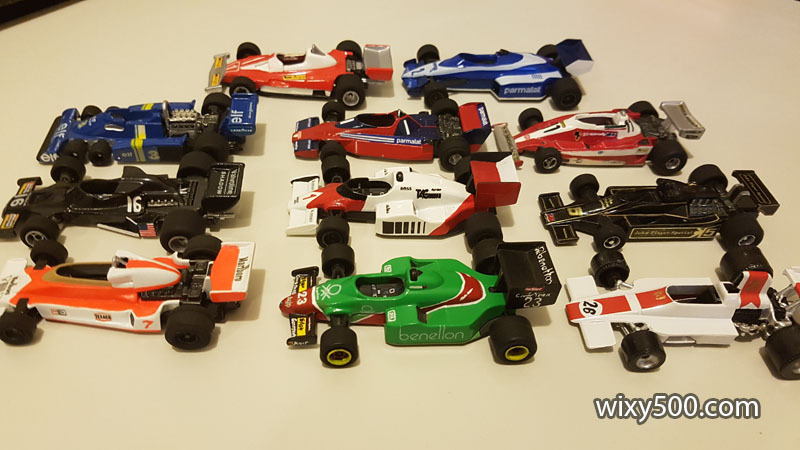 2nd Row: Brabham BT46 (no name), McLaren F1 (Marjorette), Alfa Romeo ‘F1 Racing’ (Marjorette). 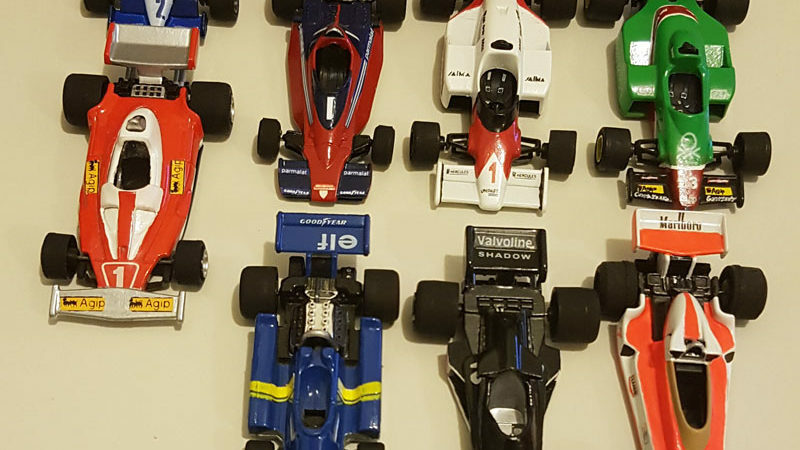 3rd Row: Ferrari 312 T3 (Tomica), Lotus 78 (Tomica), Embassy Hill (PlayArt – possibly using the old Polistil tooling??). 4th Row: Brabham (Marjorette), Ferrari 312 T2 (Marjorette). They all follow the same construction – one piece diecast upper body with plastic base plate, wheels and other components. 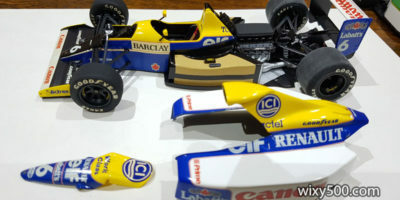 They were decorated from the factories with tampo printing and/or stickers, but that did not include full detail, just the basics of the livery. I handpainted lots of the detail and parts of the livery on most of the cars; the tyres matt black to simulate rubber, the suspension, wheels, engine and underside detail. It all made a big difference in my opinion, though as a result, some of the cars ended up looking a bit messy. Nearly all of this was done before I got more heavily into kits.